This hotel has a great location and is within an easy walk of many famous buildings, restaurants, museums and other attractions in Washington. 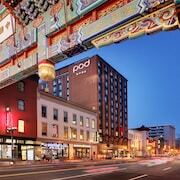 The Phoenix Hotel provided a great place for our visit to Washington DC. 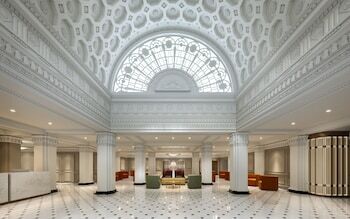 The hotel is close to subway transportation which is the perfect way to go around Washington if you want to visit monuments and museums. If you are a walker, the sights of Washington are within walking distance. Went to a conference in Washington, DC stayed at this property and it was great. The next time I stay in Washington, I will stay at this hotel . It was a great location and gave the feeling of luxe without the heavy price tag. Easy to teach on the metro and easy to get to the sites on foot or by public transport. Where to find Washington hotels near an airport? How can I find hotels in different Washington neighborhoods? Where can I find hotels in Washington that are near tourist attractions? Should you be interested in luxury or budget long-stay or short-stay lodgings in or around Washington, it's comforting to know that Expedia offers many options. On Expedia's up-to-the-minute booking pages you can find 266 lodging options within a 0.1-kilometre (0.06-mile) distance of Washington's downtown. Booking a place to base yourself near the heart of Washington is only a mouse click or two away. 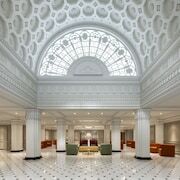 Expedia's comprehensive booking page features the Marriott Marquis Washington, DC and Kimpton Hotel Monaco Washington DC, which are situated within a 1-kilometre (0.6-mile) radius of Washington's city center. Woodley Park is a neighborhood that is 4 kilometres (3 miles) from downtown and offers the largest range of Washington places to base yourself. Woodley Park places to base yourself are the Washington Marriott Wardman Park and Omni Shoreham Hotel. An alternative is Langdon. 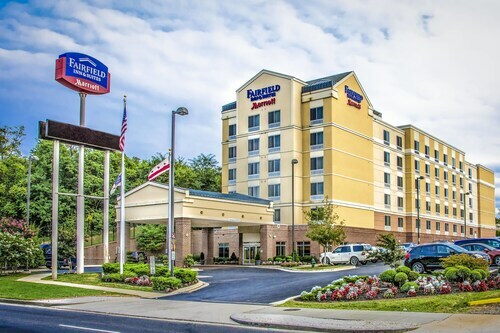 Langdon is where you'll find the Holiday Inn Express Washington DC Northeast and Fairfield Inn by Marriott Washington D.C.. Or, try Brentwood, where you'll find the Quality Inn & Suites New York Avenue and Howard Johnson Inn Washington DC. The Kellogg Conference Hotel at Gallaudet University and Motel 6 Washington DC - Convention Center are in Gallaudet, and Residence Inn by Marriott Washington, DC/Dupont Circle and Kimpton Hotel Palomar Washington DC are part of the Embassy Row area. Washington is known for the White House. The Four Seasons Hotel Washington D.C. and Rosewood Washington, D.C. are all nearby. 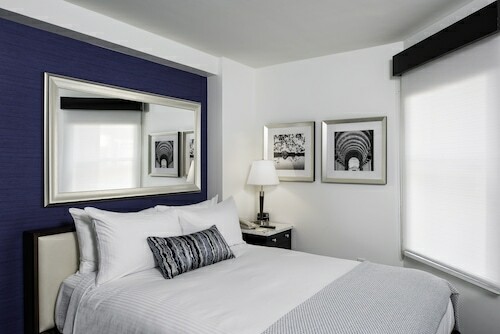 Stay near to the Georgetown University by arranging a room at the The Ritz-Carlton Georgetown, Washington, D.C. or the The Ritz-Carlton, Washington, D.C.. If you'd prefer to stay walking distance from the Vietnam Veterans Memorial, you should check out the The Jefferson, Washington, DC or The Hay-Adams. The Smithsonian Castle, another important Washington attraction, is not far from the Mandarin Oriental, Washington D.C. and also the The St. Regis Washington, D.C.. Accommodations that are within walking distance of the Korean War Veterans Memorial include the Willard InterContinental Washington and the Park Hyatt Washington. Ronald Reagan Washington National Airport is a convenient airport for accessing Washington. It is 6 kilometres (4 miles) drive away. 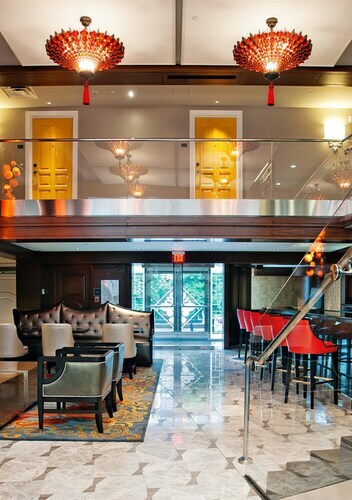 If you plan to stay nearby, try the Residence Inn Washington, DC /Capitol or Oakwood Arlington. What are the most popular Washington hotels? Are there hotels in other cities near Washington? 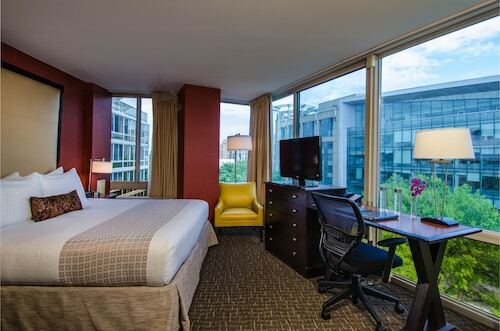 What other types of accommodations are available in Washington? Explore Washington with Expedia.ca’s Travel Guides to find the best flights, cars, holiday packages and more!